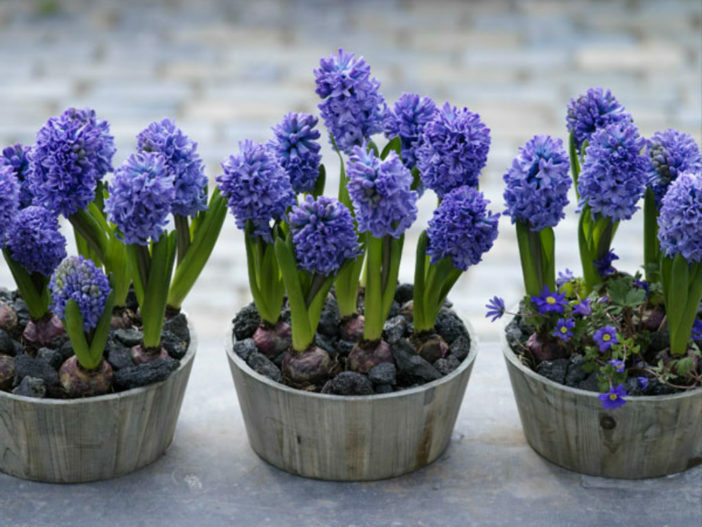 You are at:Home»About Plants & Flowers»What are Bulbs? In botany, a bulb is structurally a short stem with fleshy leaves or leaf bases that function as food storage organs during dormancy. In gardening, plants with other kinds of storage organ are also called “ornamental bulbous plants” or just “bulbs”. A bulb’s leaf bases, also known as scales, generally do not support leaves, but contain food reserves to enable the plant to survive adverse weather conditions. At the center of the bulb is a vegetative growing point or an unexpanded flowering shoot. The base is formed by a reduced stem, and plant growth occurs from this basal plate. Roots emerge from the underside of the base, and new stems and leaves from the upper side. Tunicate bulbs have dry, membranous outer scales that protect the continuous lamina of fleshy scales. Species in the genera Allium, Hippeastrum, Narcissus, and Tulipa all have tunicate bulbs. Non-tunicate bulbs, such as Lilium and Fritillaria species, lack the protective tunic and have looser scales. Two groups of Iris species, family Iridaceae: subgenus Xiphium (the “Dutch” irises) and subgenus Hermodactyloides (the miniature “rock garden” irises). Some lilies, such as the Tiger Lily (Lilium lancifolium), form small bulbs, called bulbils, in their leaf axils. Several members of the onion family, Alliaceae, including Allium sativum (garlic), form bulbils in their flower heads, sometimes as the flowers fade, or even instead of the flowers.